Provide comfort for the family of Melissa Huff with a meaningful gesture of sympathy. 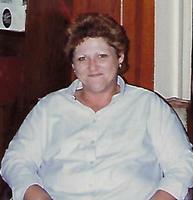 Ms. Melissa Huff, age 66, of Powder Springs, passed away February 19, 2019. Funeral Services will be held Saturday at 1:00pm at Bellamy Funeral Home Hiram Chapel with Rev. Dennis Bellamy officiating. Interment will follow at Barber Cemetery. The family will receive visitors Friday from 6-8pm at the funeral home. Ms. Huff retired from Austell Gas. To plant a memorial tree in honor of Melissa Huff, please visit our Heartfelt Sympathies Store.